In the fall of 1964 when I was an intern at Grady Memorial Hospital in Atlanta, Georgia a friend named Marsha Moore arranged for me to have a “blind date” with Cathy Young, a fellow elementary teacher at her school. Marsha was married to a close friend and fellow intern Dan Moore, whom I had known since college days at the University of Arkansas in Fayetteville. This double date that night in Atlanta 55 years ago started Cathy and me on a beautiful and wonderful life journey and was the beginning of a life of grace together which was established in heaven. The Young’s were a pioneer family of Fort Lauderdale. Cathy’s grandfather, George W. Young came to Fort Lauderdale from northern England in the early 1900’s and began a construction business, which was the first of its’ type in the city and became one of the premier construction business’s in all of South Florida. Cathy’s Dad, George F. joined his father in the business in the 1930’s, and became known for his mastery of custom design in homes while developing skill as an expert on steel and concrete. Many of the business’s on historic Las Olas Boulevard and the Riverside Hotel as well as the Governor’s Club Hotel were built by Young Construction Company, During those busy years the company employed as many as 180 laborers. Cathy’s Mom was an outstanding person and unsurpassed politician in Broward County. For the decades between the 1970’s and 1990’s she was the best known woman in South Florida. In addition to raising 3 outstanding children along with her husband George (Dad), Virginia (Mom) was deeply involved in the education and political life of the people of Fort Lauderdale. From her position as State School Board Chairman, she ran for and won a seat on the City Commission. For 2 separate terms she served as Mayor of Fort Lauderdale, and to this date is the only woman to hold that position. She also served 2 terms as Vice Mayor and later Mayor Pro-Tem during her service years for the city. When her time on the City Commission ended, she served on the Downtown Development Authority (DDA) for 7 years helping preserve historic landmarks and direct new business development for this booming city. 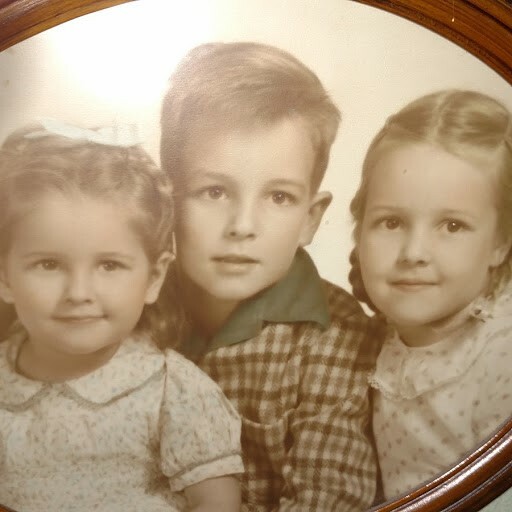 The Young’s three children, George, Nancy and Cathy were able to grow up in a beautiful ocean-side city which was safe enough for young people to play on the beach unaccompanied by adults. Neighborhoods for the most part were not dangerous, and children could play without fear of kidnapping. Walking the streets and playing in yards in the evening and into the night could be done without parental observation. Following high school graduation Cathy and her older siblings continued their education by attending Florida State University in Tallahassee. George led the way in 1955, and pursued a degree in education leading to his PhD in 1966 with the focus on student affairs. His first and only position outside of Florida was as Dean of Students at Valdosta State University in Valdosta, Georgia, and he and his wife, Dawn moved there in 1966. By this time they had 2 small children, Jenifer and George IV. He served this growing college between the years 1966 to 1969, and was offered a similar position as Dean of Students at Broward Community College in Fort Lauderdale. This was the same year I was commissioned as a medical officer in the U. S. Air Force at Moody Air Force Base in Valdosta. Cathy and I were initially so excited to live in the same town as George and his family only to discover they had decided to move.One of George’s last good deeds in Valdosta was to locate and secure for Cathy, our young son John Aaron and me, a beautiful home which we rented for the two years we were stationed at Moody AFB.. George continued in his role as Vice President of Student Affairs until his retirement in the early years of 2000. He was such as recognized national leader in his profession he served in 1979-1980 as President of NASPA, the National Association of Student Administrators, and was the first administrator from a community college to have been elected as President of this prestigious organization. Nancy followed George in obtaining her degree in education at Florida State which she completed in 1961 with a BA with honors. She obtained her master’s degree from FSU in 1965, also with honors. Nancy’s first teaching position was in Sopchopee, Florida where she taught in the elementary school She moved to Titusville, Florida on the east coast with her young son, Clay and continued teaching until she became an elementary school principal in the late 1960’s. At the urging of friends and colleagues Nancy decided on a career in law and moved with Clay in the early 1970’s to Gainesville, Florida. She got her JD degree from the University of Florida in 1977. By this time she had met and married Norman Smith from Kissimmee, Florida, and she joined Norman in his law firm of Brinson, Smith and Heller in 1977. She practiced law for over 35 years in her new firm; Brinson, Smith and Smith. Besides her love of law, especially Family Law, Nancy was an avid bass fisherman who knew and fished all the lakes of central Florida especially Lake Toho (Tohopekaliga). She was such a recognized expert on bass fishing she had a regular column in the Kissimmee News-Gazette describing tips on where and how to catch the largest of the large mouth bass of Florida. George and Virginia Young (Dad and Mom) each made tremendous impacts in their time, into the lives of people in Fort Lauderdale, while raising 3 outstanding children who carried on the Young legacy. In my opinion the youngest of the Young children is the most outstanding member of a very wonderful family, and she happens to be Catherine Reta (Cathy), my wife for the past 53 years. I will admit to extreme prejudice, while at the same time am very grateful to the Lord for that “blind date” in Atlanta in 1964!